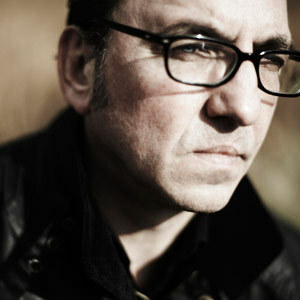 Whether it's the slicked back hair, the trademark leather jacket or the velvety retro croon, it's fair to say that Richard Hawley has always exhumed a distinct air of class. Perched on a stool before the all-seated Whitley Bay Playhouse, the sleazy Yorkshireman emphatically extended that notion to his live shows, producing a masterclass in musical finesse attainable only from a true sophisticate. This theme was also reflected in his crowd (of which I seemed to be the youngest by a distance) but such was the superlative nature of his performance that by its end even the most seasoned observers were on their feet in a state of bewildered admiration. It wasn't all geared towards the grandiose. The new record has its fair share of doomier moments, which brought an occasional bleak edge to proceedings, but it was a pair of more established cuts which made the biggest impact. Exceeding the 10-minute mark, 'Remorse Code' was by far the longest song of the night, yet it also managed to be the most engaging, dazzling to the extent that there was a genuine tinge of disappointment among the applause come its conclusion. The same was true of 'To Your Lover Give Some Time,' a heart wrenching ballad during which Hawley ditched his guitar and reached whole new levels of untold tenderness. Clearly enjoying himself in spite of his diminished physical state, he also seemed to thrive in the spotlight, taking time between songs to poke fun at both the setting and the crowd before him. Ultimately, though, those spectators were the real winners, with plenty leaving wide-eyed in the knowledge that they'd witnessed something truly magnificent. Hawley and his band return to the region in September, and you can bet that that a sizable chunk of this audience will be back begging for more.